I love the creamy beige countertop in this bathroom and that they used the same material for the backsplash right up the wall to the mirrored medicine cabinets. 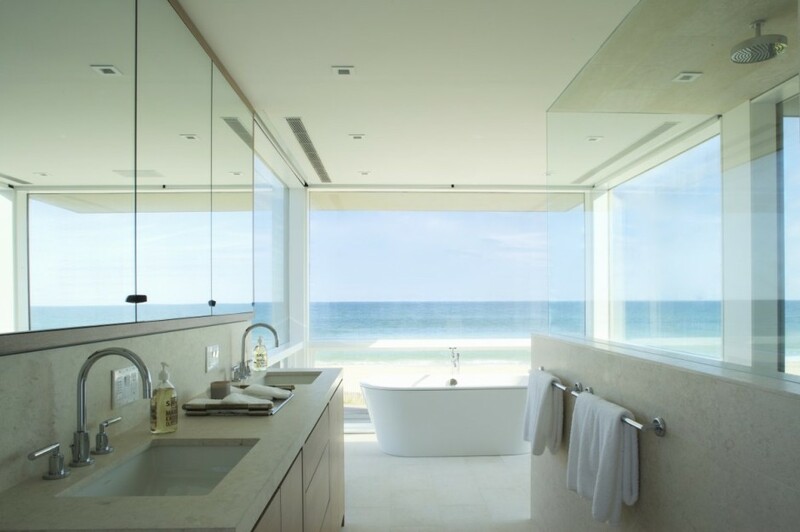 Love bathrooms like this - sleek and functional with tons of storage space and of course a killer view! wow...absolutely amazing. Who wouldn't want to wake up to this?! What a paradise! Happy Monday! Thanks for stopping by and leaving comments! Hope you had a great Monday. I`d love to wake up every morning to a paradise like this, especially on Mondays!! !